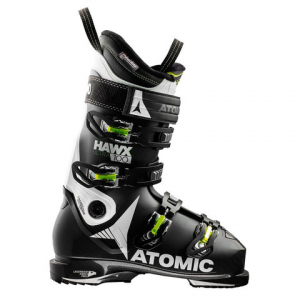 The Hawx Ultra 100 from Atomic is made for an all mountain skier with a narrow foot and features a great pre-shaped liner for added comfort. This boot will hold your foot in the heel pocket so you can really focus on your turns, while the progressive shell allows for the perfect fit. With an even 100 flex and an energy backbone that's great for intermediate skiers, the Hawx Ultra 100 is an awesome boot to progress in.